Venus Flytraps eat fish food? It all started nearly a year ago. One of my kids wanted a Venus Flytrap. I found out that plants cost about $5-$10 each, plus shipping, while 20 seeds could be had for $12. I figured if I could get 3 plants to survive I would get my moneys worth. I ordered seeds from Flytrapstore.com. I received them in a small sealed plastic vial. This is a great way to use a partially-filled aquarium: As a greenhouse! It’ll write about the process of getting plants from these seeds some other time. It’s not as easy as just dropping seeds into dirt. The baby plants are so small and need to be fed. Also, there are fake seeds being sold on the Internet, which is why I would recommend buying from Flytrapstore.com. 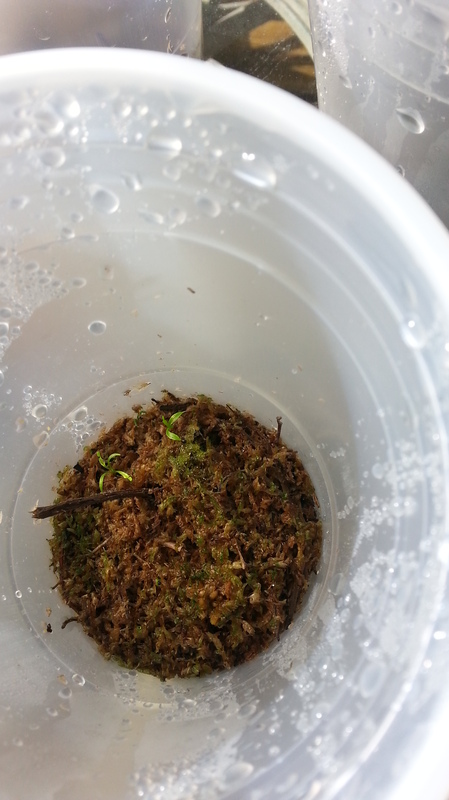 There must be other trustworthy sources but I can say that my Venus Flytrap seeds turned into Venus Flytrap plants. It takes some work and a lot of patience, so trusting that the seeds are real is important. 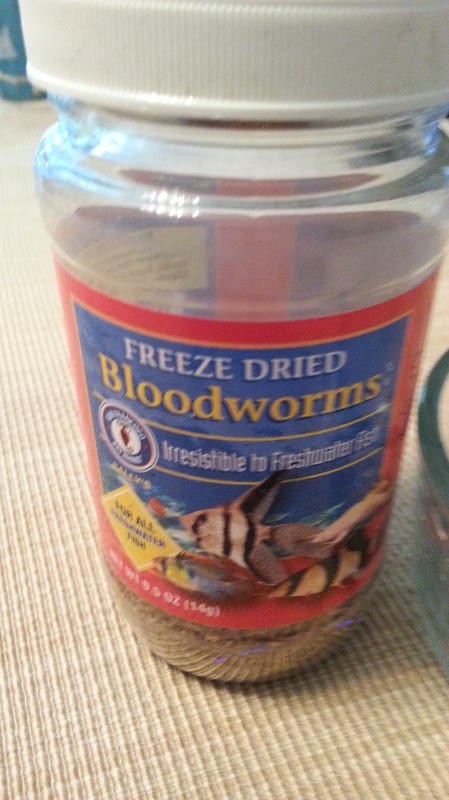 I fed the baby plants with fragments of dried Bloodworms (soaked in distilled water). It was very difficult feeding the baby plants. If you have the steady hands of a brain surgeon it helps. Out of 20 seeds, I ended up with 15 baby plants, then had 10 very healthy growing small plants. Last fall, I put them outside on some hot, dry days and I killed them all! I brought them in, watered them, and ONE plant came back from underground. It was pathetic. I put the plant inside an aquarium, floating in the warm, humid air, under the bright LED lights. It’s growing. I treat it like it’s the last plant on Earth. You and I think alike! I turned a small aquarium into a greenhouse for cinnamon trees. Out of 5 seedlings, all 5 are thriving. 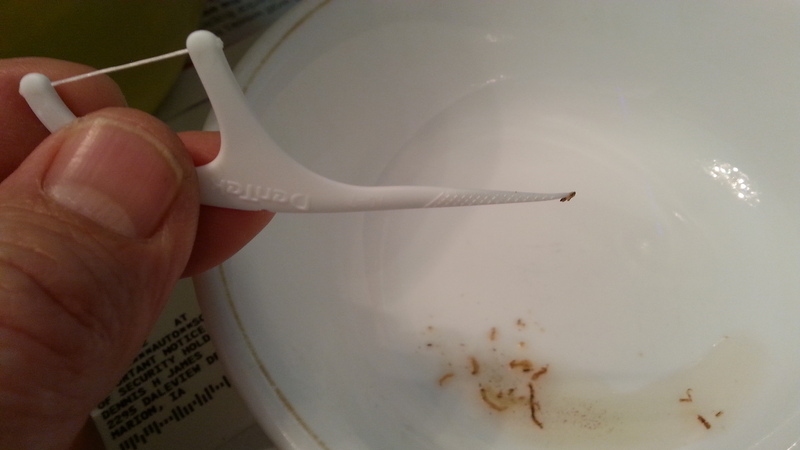 Now I am going to try my hand at Venus Flytraps! I look forward to your future post so I can get some tips! I’ll start our tomato plants in the aquarium / greenhouse this Spring. Things grow so well when they have humidity. I have a reptile lamp hanging about to keep them warm, too. VFTs are harder to keep alive than most people realise. I absolutely love all carnivorous plants, but it’s quite challenging trying to keep them alive in the UK, particularly nepenthes varieties. I’d like to share a few tips with you that I’ve picked up over the past 20 years that might help with your fly traps. They hate tap water. Watering with tap water is the most common mistake made that is almost certain to kill them. Whenever possible, give them rain water, but you can use distilled or RO. They are a bog plant and need as close to bog type environment as possible, so prolonged extreme dry or wet won’t make them happy. 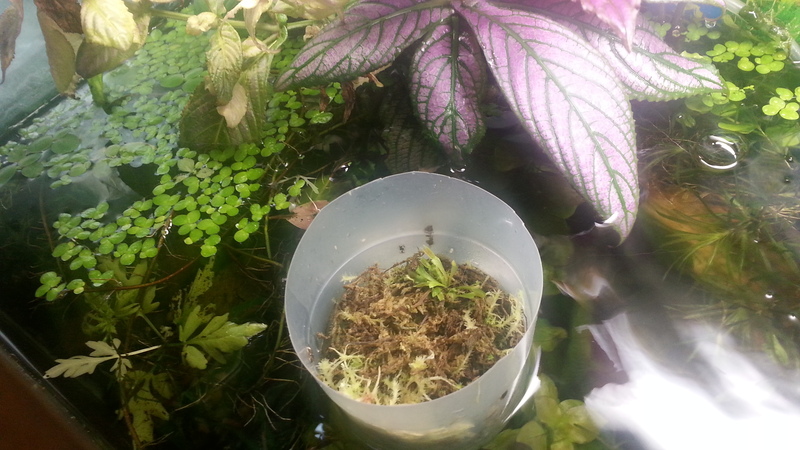 They want low-nutrient soil, made up mostly of sphagnum peat moss. I found they prefer it if you stand the pot in a tray that you can fill with enough water to cover around two thirds of the height of the pot. Fill the water to two thirds the pot and let the plant(s) use up that water before filling again. That has always worked well for me. The weather here is obviously quite different to yours, but I can leave them outside in summer and they do fine, bearing in mind that we get a good bit of rain even in summer and nowhere near as hot as you get it. 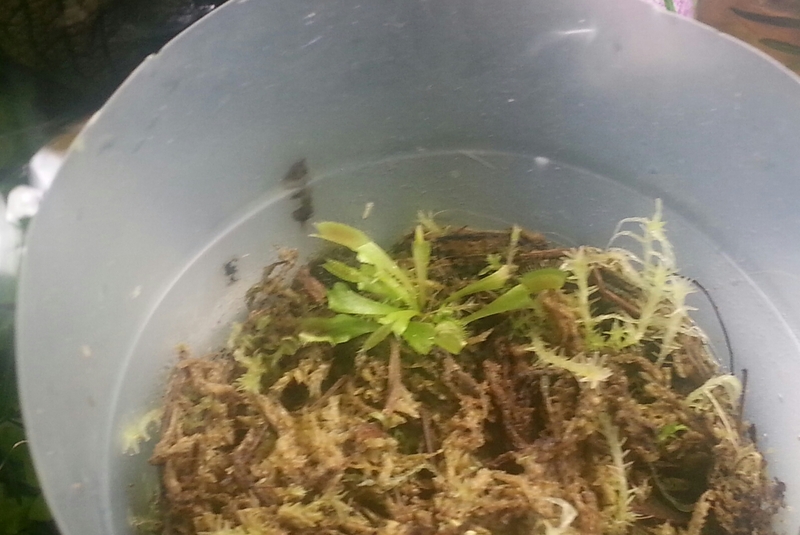 They go into dormancy through winter and the traps will mostly die off and the plant will look dead. It most likely isn’t dead though. I move mine to a frost-free area for winter, but leave them out to do their natural thing. If you keep them in a greenhouse or on a windowsill most of the time, then they need to be in a colder place for their winter dormancy. Come spring, the little traps start to emerge again and all is good. As far as feeding them goes, I’m sure you know they are triggered by hairs on the inside of the traps. You’ll need to touch a single hair at least twice to trigger a trap, but preferably touch a couple or more hairs to convince it to close. The reason for this is to try and avoid false closes caused by rain, falling leaves & such. I use tweezers and just stroke the victim gently across the leaf a couple of times and if the trap doesn’t trigger, try a different trap. Try to avoid triggering traps without the plant getting the catch, this will weaken the plant enormously. It will also ideally need something moving as the hairs need to be triggered after the trap has closed to stimulate digestion. When a bug gets caught, it struggles, which causes the trap to tighten and start digesting. If this doesn’t take place, the plant wastes a lot of energy. It’s a very interesting and rewarding hobby keeping these plants alive and I’m happy to have managed to keep even nepenthes alive in this country (which I was told was impossible). Good luck with your little monsters and please keep us updated. Thanks for sharing. I think you covered it all and that reminds me that I need to put mine out in our chilly garage for a few weeks before Spring.